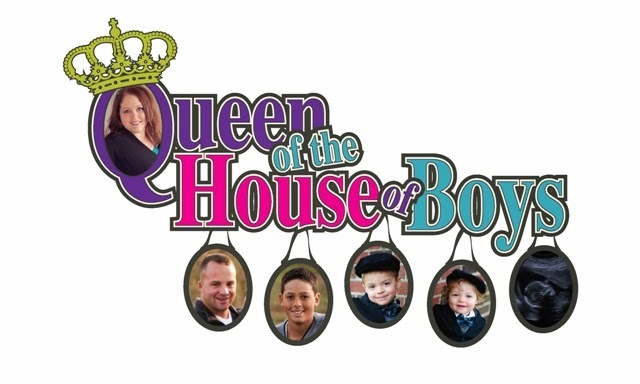 Queen of the House of Boys: Toddler Learning is Fun! This is a creation I made over the summer for the little boys' room. (which is pretty much River's room until we can trust him to sleep in the same room alone with his baby brother) I had to hurry up and post this now because...I...myself...came up with this creation. The was design BP...that stands for Before Pinterest. It is true that I am now a Pinterest addict. However THIS creation...I came up with ON MY OWN. Just yesterday I was on Crackerist Pinterest and I saw a creation similar but not the same. What I am learning about Pinterest is this: If you can dream it or think of it...it is more than likely someone has already done it. You can have a thought like..I wonder if I can create something with toilet paper rolls...and then you type that in and whalah! 50,000 other people had the same thought and did it! I love to inspire others with my creations. I love to see other inspirations and make them my own by changing them up a bit. But lets just get real here. When it is something you did come up with on your own...you want the credit for it! :) I am so humble right? Ok...back to the post. I bought 2 packs of alphabet flash cards at Wal-Mart. I got out my huge roll of jute rope and my paper puncher. The cards are 2 sided. So with 2 packs I was able display the upper case, lower case, and 2 pictures corresponding with that letter. Oh, that big gash by his eye?? Yeah...he tripped while carrying a pen and jammed it into his face. It came 1/4 inch away from literally poking his eye out. It was pretty deep and gross. It required a doctors visit and liquid stitches. He will definitely have a permanent battle wound. The end! Someday I will show you the rest of the room. There are 2 beds (which are bunkbeds torn apart) a rocking chair, a changing table, a bookshelf, 3 hanging vintage metal airplanes, several other vintage style metal vehicles, blue walls, Bed Bath & Beyond quilt....and 4000 stuffed animals.